If you read a lot of sites and blogs, and you subscribe to RSS feeds, you may want to organize your feeds with Feedly. It is a website that creates a magazine-like start page for all RSS feeds. It allows users to import feeds from Google Reader and categorize them. Feedly is available as an Android app, iPad app, and Google Chrome web app. It is also available as a Safari and Firefox extensions. 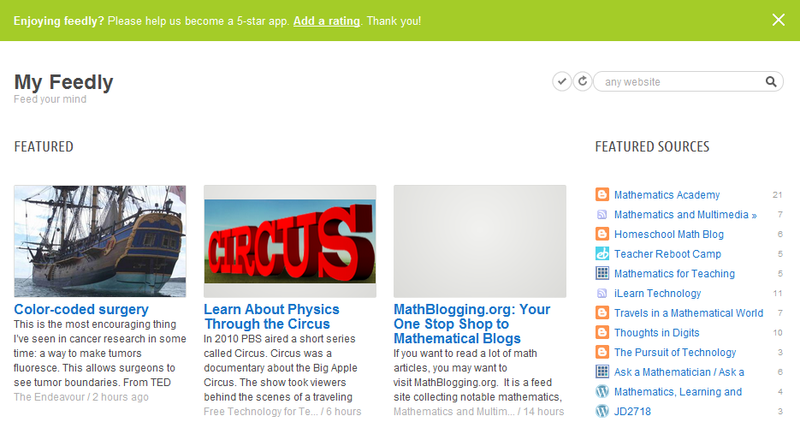 In addition, Feedly can be integrated with Twitter, Facebook, and Tumblr. 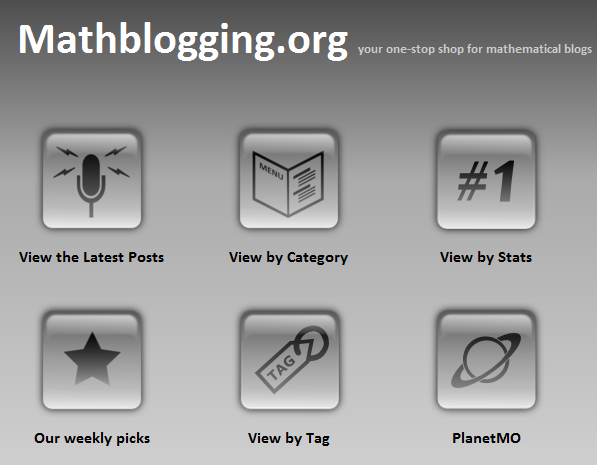 If you want to read a lot of math articles, you may want to visit MathBlogging.org. It is a feed site collecting notable mathematics, mathematics teaching/learning, and other related blog posts all over the net. The feeds have been organized into latest posts, category, statistics, and tags. 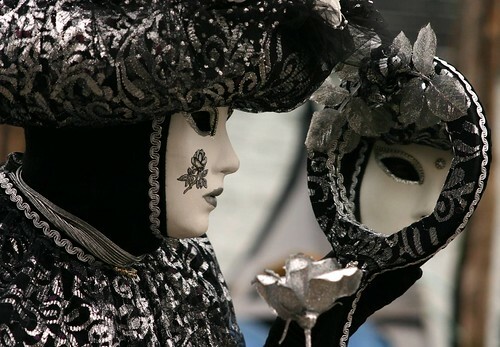 The authors have included their Weekly Picks, a list of noteworthy posts every week. Squaring numbers always give a positive result or a . For example, , , . Using this argument, it follows that we can always get the square root of or any positive number. Now, what about the square root of a negative number, say, ? Let’s see: and ; therefore, no number exists that when multiplied by itself equals . In fact, it looks like we cannot find the square root of any negative number. Now, what if — just what if — we invent square root of negative numbers? Nobody would stop us right? We start with . Suppose has a square root, and we call it . If , then . If so, we can also answer the question that we have asked above: . As a matter of fact, we can generalize this operation for any negative number. If is positive, then is a negative number. So, . But what kind of number is ? Surely, it is not a real number since we cannot locate it on the real number line. And, since we have all the real numbers and is not a real number, maybe, we should call an imaginary number. Imaginary numbers were ‘invented’ (or discovered if you prefer) because mathematicians wanted to know if they could think of square root of negative numbers, particularly, the root of the equation (that is, which is the same as finding the ). Just like the many ‘radical’ ideas in mathematics, it was not widely accepted at first, but eventually its invention proved to be very useful and has opened a lot of new ideas in mathematics. In the next post in this series, we are going to discuss about the operations on imaginary numbers. . Welcome to the 19th edition of the Math and Multimedia Carnival. The entries in this edition were sent via email, others via the blog carnival site, and some were my own selection.